Leave it to a Sagittarius to tell the unadulturated truth. Pope Francis is making heads roll with his bombshell “Apostolic exhortation,” or papal manifesto, if you will. In a world full of unchecked corporate greed and ugly, blatant, rampant egotism and selfishness, this Pope is teaching us all a lesson in caring compassion. He has singlehandedly set out to champion the underdogs of society by sounding the trumpet of truth in a way that no one else can. I often wonder why people are sitting on their hands, refusing to acknowledge or speak the obvious truth, no matter how unpalatable it may be. Pope Francis is obviously not afraid to sound the clarion of real change. Forget Obama’s ineffective pie-in-the-sky-change-you-can-believe-in rhetoric that has been largely thwarted by the Grinch-like Republican party in the United States. 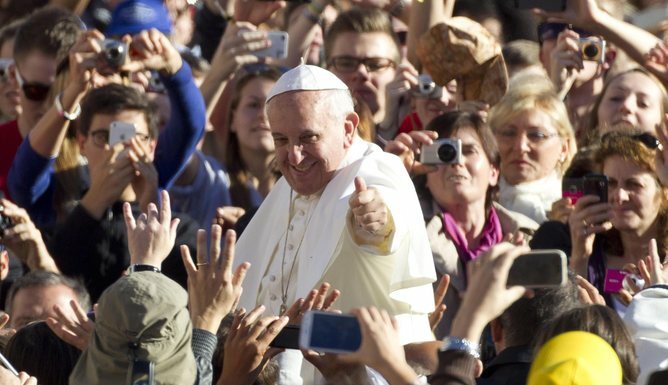 The Pope answers to no congress; his guidance seems to be drawn from the well of truth. As long as the powers that be who wish to maintain the status quo don’t set out to shoot him for professing the truth, Pope Francis could very well lead us into a new era of compassion on Earth. His observations have made it abundantly clear that we must no longer continue to abuse Mother Earth and take each other for granted. It sounds cliche but love is truly the answer, no matter the problem. Pope Francis speaks from the true spirit of transcendence. No matter your religion, color or creed, what he professes is universal: amor vincit omnia. Love shall conquer all the masses. Andrew Self does not work for, consult to, own shares in or receive funding from any company or organisation that would benefit from this article, and has no relevant affiliations. Pope Francis has openly attacked capitalism in his recently released Apostolic exhortation, which for all intents and purposes is the Pope’s “manifesto”. While Francis has called for the radical decentralisation of the Vatican, and decided that gay people are not agents of Satan, it is his outcry against savage capitalism that creates the biggest interest. Much of it could have come from the hand of Karl Marx himself, minus the critique of ideology. Since his election to the Catholic Church’s highest position in March, Francis has set an example for a more modest lifestyle, living in the Vatican guesthouse and suspending a bishop who spent millions on his luxurious residence. He also chose to be called Francis after Saint Francis of Assisi, who lived a life of poverty. So, is the hierarchy of the Catholic Church finally living up to the teachings of Jesus? It is only one section of the 84-page document, but it sets out the challenges of today’s world which includes headings such as “No to an economy of exclusion”, “No to the new idolatry of money”, “No to a financial system which rules rather than serves” and “No to the inequality which spawns violence”. Francis has clearly been shifting the direction of the Catholic Church from the previous conservative slant of Pope Benedict. Not since the papacy of Paul VI in the 1960s has a pope openly declared the need to rebel against unjust capitalism. Under Francis, European Church attendance is ever so slowly on the rise for the first time in decades. Two-thirds of Catholics seem to view Francis’ overall focus on human harmony as a positive thing. Francis is a Jesuit and comes from Latin America, which was the home of the radical “Liberation Theology” movement of the 1960s and 1970s, which was feared by the conservative members of the Catholic Church. This tradition is a reading of the scripture that looks at sin in social problems, not individual ones. Those adhering to this form of theology fight for an action against oppression, and as God identifies with the oppressed, this is where action by the church should be taken. Naturally, many deride this strain of Christian thought as “Marxist”. According to the National Catholic Reporter, although Francis had opposed liberation theology in Argentina, this seems to have to do more with keeping Jesuits from becoming politically active or working directly in community groups – which would be a departure from the more traditional role of the order – than it does with rejecting an interpretation of Catholicism that places an emphasis on the poor. It is a welcome change as capitalism stumbles from crisis to crisis. And with global inequality on the rise, it is significant that not only popular movements worldwide are realising and rebelling against this, but that the head of one of the world’s wealthiest and most powerful institutions is also doing so. Today everything comes under the laws of competition and the survival of the fittest, where the powerful feed upon the powerless. This opinion, which has never been confirmed by the facts, expresses a crude and naïve trust in the goodness of those wielding economic power and in the sacralised workings of the prevailing economic system. 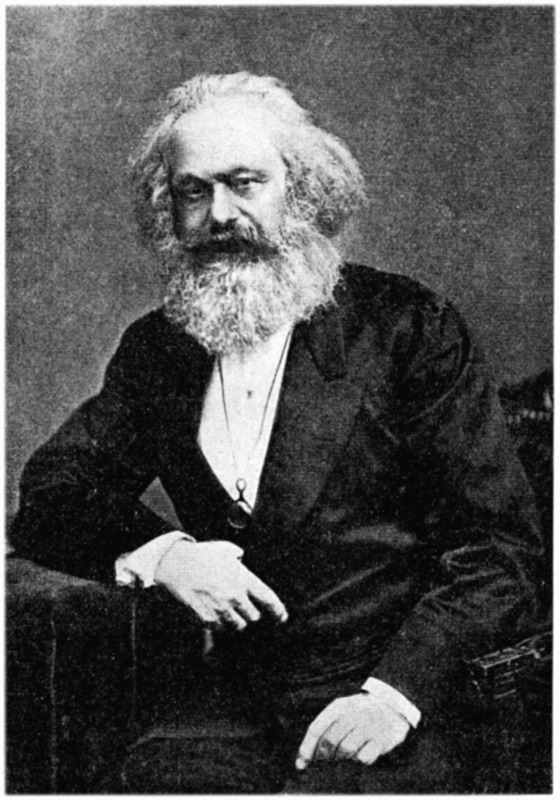 The theories of Karl Marx are clearly present in Pope Francis’ recent exhortation. Just like Marx wrote over 100 years ago, Francis understands capitalism’s manner of turning everything into a commodity, even humans. Naturally, Francis has attracted the ire of conservatives, who see the Catholic Church’s role in line with traditionalism, and as an institution to hold off moral relativism and the growing secularisation of Western society. …some people continue to defend trickle-down theories which assume that economic growth, encouraged by a free market, will inevitably succeed in bringing about greater justice and inclusiveness in the world. Meanwhile, the excluded are still waiting. The culture of prosperity deadens us; we are thrilled if the market offers us something new to purchase; and in the meantime all those lives stunted for lack of opportunity seem a mere spectacle; they fail to move us. It is of course true that the Catholic Church has huge, undisclosed wealth that is closely tied with the global usury system of unethical loans that Jesus condemned. But it has only been eight months since Francis stepped into his role, and in this short time he has possibly done more for updating Catholic theology than any pope has done in the 20th century. He is not the first pope to attack the capitalist system and may be closer to Hungarian economic philosopher Karl Polanyi than Karl Marx. Nevertheless, Francis’ arguments are more specific, openly naming “trickle-down economics” while practicing what he preaches and living a relatively humble lifestyle. Francis is saying what many have said before, and will continue to say – that inequality is worsening, with the blame laid firmly at the feet of capitalism. But certainly, it holds more weight coming from such an influential man than it would coming from Russell Brand.